The Activity Illuminated is also designed for children. Cartography includes animals, people and places of interest. 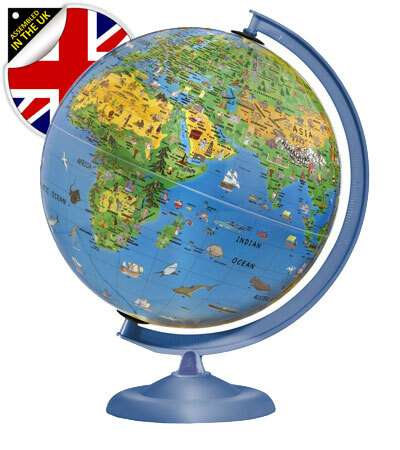 The globe features a durable blue plastic meridian and base and is supplied with an information reference card. Mains operated and should be used with supervision.